Josie-Lee Kuhlman founded Chrysalis House with a vision of creating and supporting families in the State of California, Nationally, and worldwide. Where there are orphaned children there are adults willing and able to provide a nurturing environment for children to blossom and grow in their Forever Family. She understood the meaning of the word 'Chrysalis' as the beginning of a new future and so named the Agency 'Chrysalis House, Inc.' to mark the beginning of a new family. Josie-Lee's path leading to founding Chrysalis House, Inc. included a lifelong yearning for knowledge in which she earned; A.B. in Social Work, University of Redlands; Masters in Theology, American Baptist Seminary of the West; Masters Degree in Social Work, University of Denver; 32 units toward a Ph.D. in Theology, Hartford Seminary Foundation and 42 units towards a Ph.D. in Sociology, New York University. 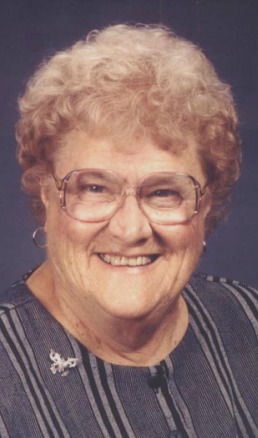 Josie-Lee Kuhlman worked with many different aspects of families all of her career, which became evident in the 1940's when she and her husband, Harold, accepted a missionary assignment in Capiz Capiz, Panay, Philippines after the war. Josie-Lee's career included: Executive Director, Girl Scouts of America; Director of Community Organization for the Office of the Mayor in New York City; Executive Director, Camp Fire Girls, in Los Angeles; Executive Director, Central City Hospitality House, in San Francisco. Her work in adoptions began in 1979 in the Sacramento area for Children's Home Society. Upon retiring from that Agency, she began the work to found a new Agency; Chrysalis House, Inc. Her avocation is the love of international travel and learning of different cultures. For her, life is a 'Family Affair'! Josie-Lee had a vision and passion that has been instrumental in creating families for over 25 years.